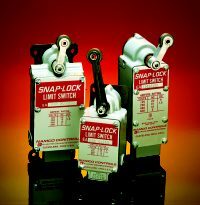 Namco Controls has been in the heavy industrial control sensor business since 1937 with our first Snap-Lock® limit switch, a name synonymous with rugged reliability under brutal conditions. Today, we are the only source for limit switches for use in Nuclear Power Plants qualified to NRC requirements, with installations around the world. When non-contact electronic sensing was required, first in automotive assembly lines, Namco was the first U.S. company to respond. We patented internal short circuit protection for 2-wire sensors and developed the first weld field immune (WFI) sensors to survive resistance welder applications, positioning Namco as a recognized leader in high reliability electronic sensing. In fact, reliability is so important to our customers that we introduced the industry’s first Lifetime Replacement Program for electronic sensors in 1987.